Currently in production, #TwinPeaks is written and produced by series creators and executive producers David Lynch and Mark Frost and is directed entirely by David Lynch. While the full mystery awaits, fans can expect many familiar faces, including Golden Globe® winner and Emmy® Award nominee Kyle MacLachlan, who reprises his role as FBI Special Agent Dale Cooper. Twin Peaks is an upcoming American television series created by Mark Frost and David Lynch and a continuation of the 1990–1991 ABC series Twin Peaks. The limited series event will consist of 18 episodes, premiering on Showtime on May 21, 2017. Two episodes have been selected to be screened at the 2017 Cannes Film Festival. The series was developed and written by Lynch and Frost over a number of years, and directed in its entirety by Lynch. 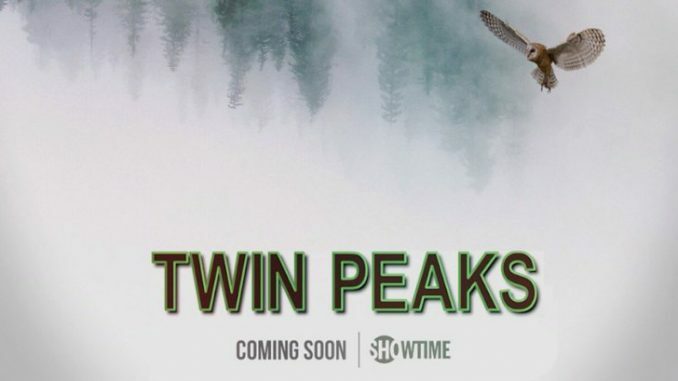 Many original cast members, including Kyle MacLachlan as FBI Special Agent Dale Cooper, will return, as well as a large number of new additions, including Laura Dern, Naomi Watts, Michael Cera, Jim Belushi and Jennifer Jason Leigh.